According to vehicle history check provider HPI, clocked cars are not only harmful to your wallet but can also be dangerous. 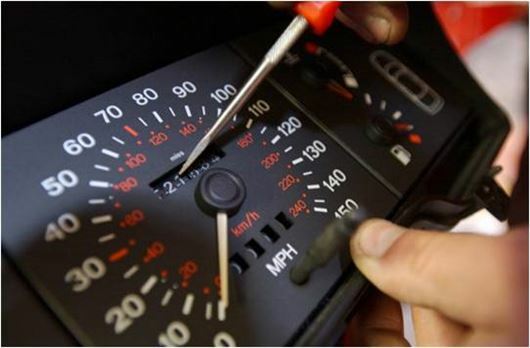 Unscrupulous sellers who change the mileage reading of a car can convince buyers that scheduled maintenance is up to date when it isn’t, meaning the potential for dangerously worn out components. HPI’s concerns are echoed by vehicle inspection experts at the RAC. “Vehicles displaying untrue mileages carry an increased risk of costly defects being present. With use comes wear, and therefore higher mileages are a likely indication of when maintenance costs could start to rise,” comments Michael Hill, Vehicle Inspections Manager for the RAC. A vehicle check, whether through the DVLA or a specialised vehicle data company, will show any discrepancies with mileage, as well as any past problems, including accident damage and thefts.